attack of the killer tomatoes. 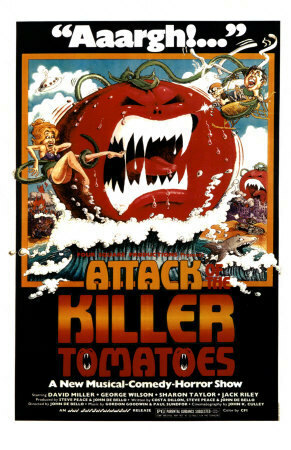 Attack of the Killer tomatoes চলচ্চিত্র. Wallpaper and background images in the ভয়ের চলচ্চিত্র club tagged: horror films gore tomatoes funny blood tomatoe juice murder mass killings. This ভয়ের চলচ্চিত্র photo contains নকল মানুষের, কমিক বই, কমিকস, and কার্টুন.